UPDATE: Top Gear to be on BBC HD from November 15th | What Hi-Fi? Is the nation prepared to see Jeremy Clarkson and the gang in high-definition glory? At least the cars and locations should look good. For full details of what's on BBC HD that day, check out the listings page online. Good news for all HD-loving petrolheads – Top Gear is coming to BBC HD from November. Top Gear's blog page confirms "filming is well underway on Series 14 and if all goes to plan it'll be on your screens by mid-November". While the BBC's internet blog claims that "after several hundred emails" the programme is now working wih high-definition cameras. Danielle Nagler, Head of BBC HD, BBC Vision, said: "The BBC is aiming to extend the range of programming that is available [in HD], to showcase programmes that are loved in SD, and to explore the creative potential of the new technology." 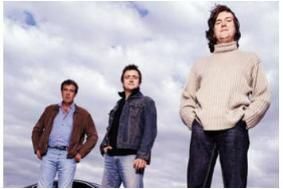 Top Gear will join the likes of The Thick Of It, Waterloo Road and Countryfile on the BBC HD channel.